Deli cases perform double duty: not only are they required to refrigerate a variety of meats but they’re also expected to present them to customers. This overlap of functionality and appearance means that your business is tasked with picking both the best performer and the best looking deli case for your restaurant or shop. EZ Temp of Bergen County specializes in refrigeration units and delicatessen cases: we can help you pick the very best deli case for your business and install it immediately after you make your choice. We’ll help you select and maintain the best model for your location, along with prompt, professional installation. 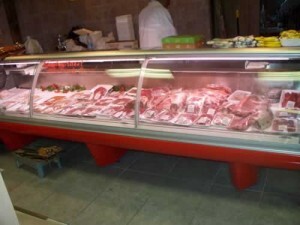 We also offer 24 hour, 7 day a week repair services, so you’ll never be without a deli case. You don’t have to worry about losing product, losing customers, or losing revenue. EZ Temp of Bergen County will not only help you pick the right until, but we’ll install it and maintain it as well. We offer worry-free service, so you can focus on running your business, not fixing your commercial refrigeration equipment.